The long awaited DVD release of Terror of the Zygons later this year will not only be the first time the serial has been seen since it was transmitted back in 1975, but also will mark the final Fourth Doctor release for 2Entertain's Who DVD line. But why wait, when you can celebrate Tom Baker right now, with this awesome new Box set? The Fourth Doctor Time Capsule set comes with a Vanilla early release of Terror of the Zygons, without the features that will be on the 'proper' release later this year, as well as a brand new interview with the man himself, called An Interview With a Time Lord. But the goodies don't stop there! 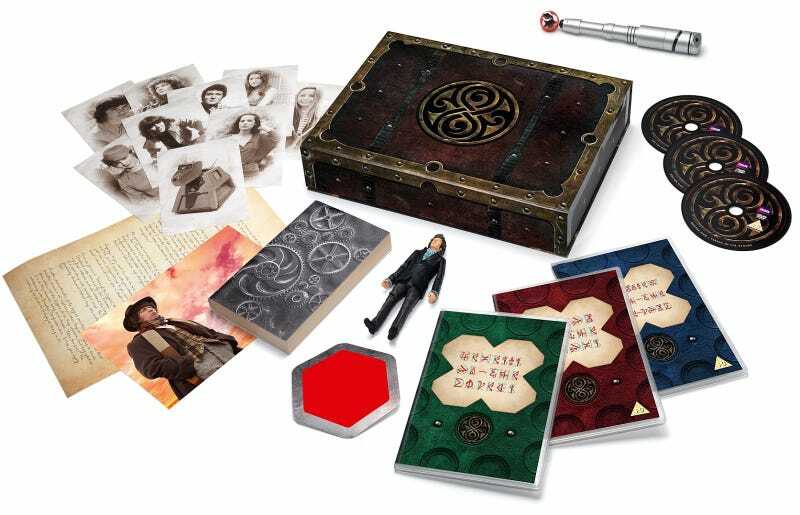 Also included is the audio version of Genesis of the Daleks, one of the finest Dalek stories in the show's history, Tomb of the Valdemar, a rerelease of Simon Messingham's 2000 Novel featuring The Fourth Doctor, Romana I and K-9, a letter from Tom Baker himself, Art cards featuring every one of The Fourth Doctor's companions, and if that wasn't enough, two toys - The Doctor's sonic screwdriver, and an exclusive 'Regeneration' Fourth Doctor, as he was seen at the end of Planet of the Spiders. The Fourth Doctor Capsule is limited to 5000 copies, and unfortunately for overseas Whovians, is only available in the UK. The box set is due out at the end of this month, on July 29th - you can preorder it now from the BBC Shop (Which delivers to a variety of regions, but not the US or Canada) for £62.99.